It is with profound sorrow that we announce the transitioning of Marion Elizabeth Birkett. The family will receive friends 5-6pm Tuesday, January 16, 2018 with a service to follow at 6pm at Apex Funeral Home Chapel, 550 W. Williams Street, Apex, NC 27502. The family will also receive friends 4-6pm Thursday, January 18, 2018 with a service to follow at 6pm at the J. Foster Phillips Funeral Home, 179-24 Linden Boulevard, Jamaica, New York. Interment will be held 12pm Friday, January 19, 2018 at Calverton National Cemetery, 210 Calverton, New York. The family requests that all flowers be sent to the J. Foster Phillips Funeral Home. Marion Elizabeth Birkett was born on December 8, 1920 to Sadie Elizabeth Brathwaite and Richard Brathwaite in New York, New York. She was called home on Thursday, January 11, 2018. Marion spent her formative years in Queens. She was one of eight children. She attended P.S. 116 in Jamaica, Queens and the Wadleigh High School for Girls in Manhattan. At the beginning of World War II, Marion founded a social club of women called the Azure Girls for those who had boyfriends in the war. O July 5, 1941, she married Joseph Leroy Birkett. Their union bore four children, Louise, Joseph Richard, Ronald, and Marcia. She was an active member of Calvary A.M.E. Zion Church in Jamaica, Queens where she sang in the Gospel Choir and the Mass Choir. Her baked goods were amazing. She whipped up the most delectable treats like a magician; even her preferred flour was called Presto! Chocolate cakes, strawberry short cakes, lemon meringue pies, cupcakes, apple cakes and pies were fashioned from scratch without any measuring cups. When asked how she does it, she'd say. "I don't know, I just do it by feel." Most of her life was spent in the home caring for her children and grandchildren. However, she worked as a teacher's aid in P.S. 26 in Flushing, Queens for four years at the same time her youngest daughter Marcia attended the school. With an incredible sense of purpose she ran a very orderly and disciplined home filled with lots of love, laughter, and great memories. Her home was a welcoming place and many of her children's friends called her "Mom". In 1998, four years after the passing of her husband, she moved to Bay Shore, New York to live with her daughter Marcia. There she attended First Baptist Church in Bay Shore. In 2014, she relocated with Marcia and Tyrone to Cary, North Carolina. In North Carolina she attended Apex First Baptist Church under the leadership of Reverend Dr. John T. Chapman. In 2016, she became a member of Peak City Full Gospel Baptist Church also under Reverend Dr. John T. Chapman. Throughout Marion's many ups and downs, she faced each with strength, grace, and wit. 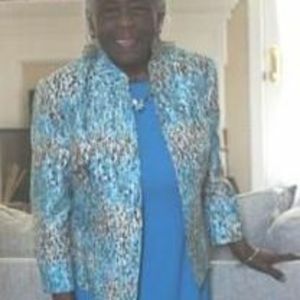 She is survived by her sister Florence Prescod; two daughters, Louise Favors and Marcia McCovey; sons-in-law, John Favors and Tyrone McCovey; and granddaughter, Yvette Fannell.